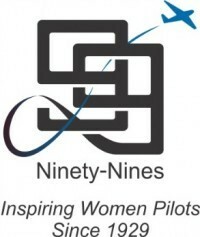 The Ninety-Nines, Inc., is the first and only international organization of licensed women pilots. From 35 countries, we currently have over 5,500 members throughout the world. We are a non-profit, charitable membership corporation holding 501(c)(3) U.S. tax status. Our International Headquarters is located in Oklahoma City, Oklahoma. Although there are other female pilot organizations in various states and nations, virtually all women of achievement in aviation have been or are members of The Ninety-Nines. Today Ninety-Nines are comprised of women who fly purely for fun, fly professionally for airlines, corporations, flight schools, and government agencies, or fly their own airplanes for their own businesses. First and foremost, we are all women pilots who love to fly! Our Headquarters is located in a two story building complex on six acres at the Will Rogers World Airport in Oklahoma City, Oklahoma. This is also the site of our 99s Museum of Women Pilots, the world’s largest collection of records, memorabilia, books, photographs, and audio and video tapes on women pilots from history and today. We also have a museum in Atchison, Kansas, in Amelia Earhart’s birthplace home. Please stop in if you are in the area. Our business hours are 9:00 AM to 5 PM Monday – Friday or by appointment. Show your enthusiasm for aviation and your support for the Ninety-Nines by becoming a Friend of the Ninety-Nines. Click here for more information on becoming a Friend and membership benefits. The official logo of The Ninety-Nines is the compass rose, but an alternate was added for use in publications, stationery, jewelry, business cards, web sites, etc. Click below to donate to our Scholarship Fund. Thank you for your support. Nov 2 – 99s 90th Birthday!